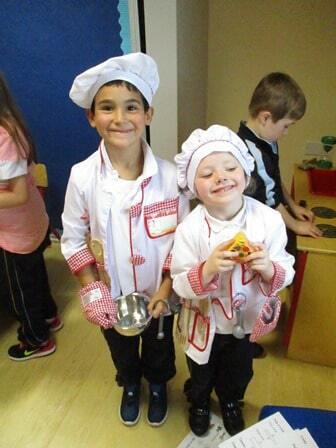 Room 3 have been exploring The Pizza Restaurant as our Aistear theme for the last week. We have been enjoying dressing up as waitresses, waitors and chefs so that we can serve our customers some delicious pizza. We have been practising using the phrases ‘what would you like to order?’, ‘can I have the bill please?’ and ‘how was your meal?’. Have a look at our pictures to see us playing the different roles of the pizza restaurant. To see the pictures, please click here.